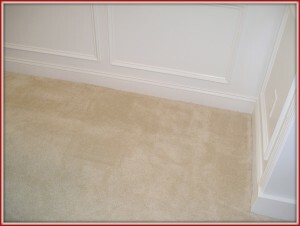 Carpet Stretching, Repair, patching, & Replacement. We have proudly been working with carpet for over 20 years! 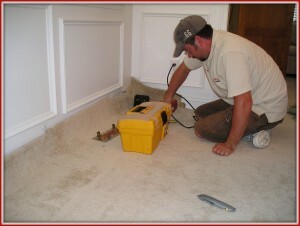 One of our first services offered was carpet stretching, repair, patching, and replacement. We understand the importance of stretching and repairing carpet using the most effective industry leading methods and tools. Doing the job correctly will provide outstanding and long-term results. 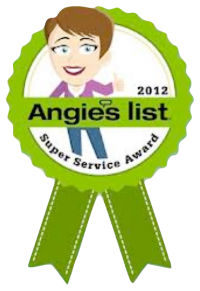 We offer free estimates and a 100% satisfaction guarantee. If you have any questions about having your carpet stretched or repaired, we would be happy to assist you! 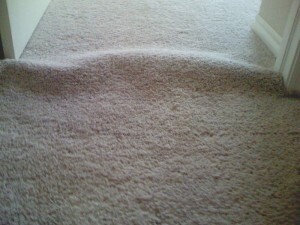 Carpet that is wrinkled should be restretched ASAP to prevent damage to the carpet backing. The use of a power stretcher is extremely important. 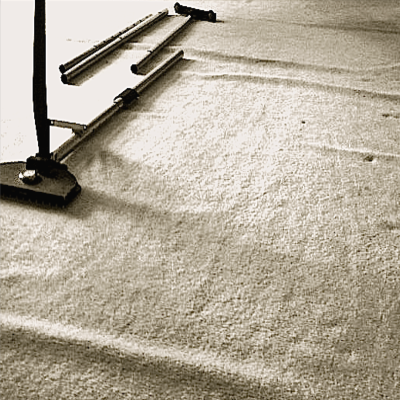 Never allow a company to stretch your carpets without the use of the power stretcher. 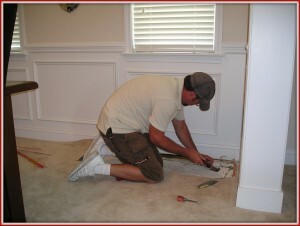 We can stretch and repair rooms with or without furniture. In many cases, we prefer to stretch the entire room and not just the visible wrinkles. This way we can guarantee our work and give you a life-time warranty of the work we perform on the carpet, knowing that you won’t have any future problems. 1.Pre-Inspection and Walkthrough: We will look at the layout of the room/rooms of the home and determine the best direction(s) to stretch). 2. We will pickup light furniture that may be in the way of us stretching the carpet. 4. Our technicians will release the carpet from the tack strip. 6. A knee kicker is used as an assist tool to the power stretcher and the carpet is attached back onto the tack strip by knee kicking the carpet and pressing the carpet back onto the tack strip with a hammer. 7. Excess carpet that has been stretched is now on the tack strip and we will trim away the excess. 8. The carpet is trimmed with a carpet trimming tool. 9. The carpet is tucked back into the space between the tack and baseboard. 10. 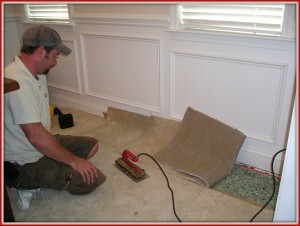 Any excess carpet is trimmed as needed with a carpet knife. 11. Cleanup and vacuum. Large pieces are picked up and we will vacuum up the small pieces. 12. Furniture is moved back into place. Sometimes it may become necessary to cut out and replace areas of carpet that are otherwise permanently damaged. We've repaired anything from bleach spots, burn spots, and pet urine stains and so on. Have a look at the pictures below. This was a case of severe urine damage with pet odor, we cut out the damaged carpet and pad then washed the subfloor with bleach and replaced the carpet and padding with new pieces. 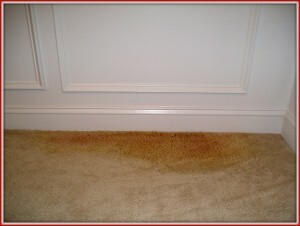 "Learn More About Pet Urine Damage"
Do you have a bleach spot? No problem. We can either dye the carpet back to the original color or patch it.